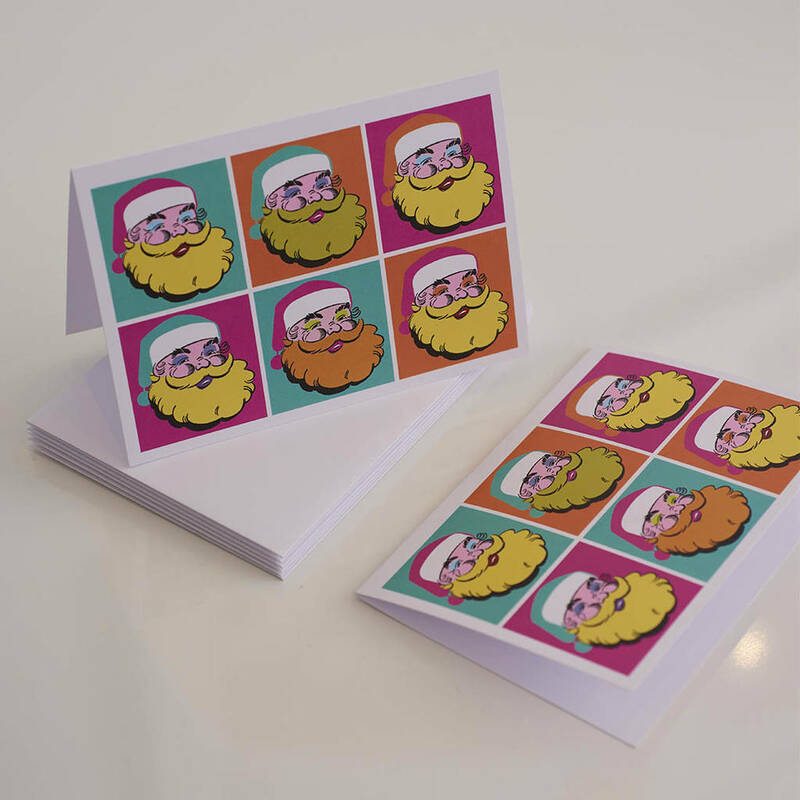 We thought we'd go down the Andy Warhol route and re-imagine Father Christmas in all his pop art glory! So here's what we created, exclusivley for Not on the High Street. 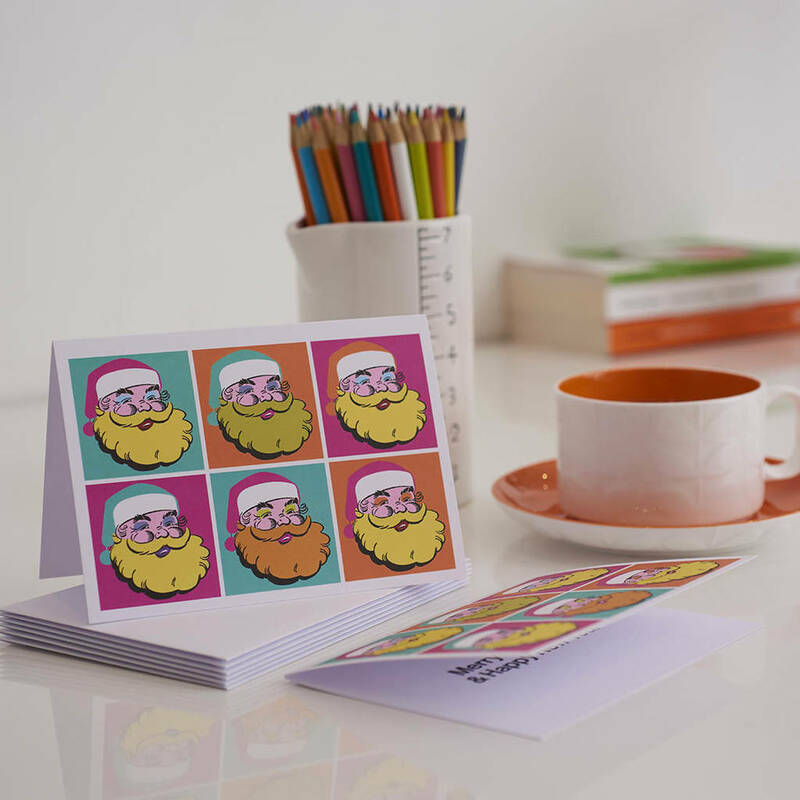 Santa Claus as you've never seen him before, six Santas for the price of one! The inside of the card reads "Merry Christmas & Happy New Year". This item is priced per card i.e. £2.99 for one card. Made from stiff white card with a white envelope. This product is dispatched to you by Harrow & Green.